-SG- Back in September 2011 we posted a May 1930 road test on the Model 20, full of the usual non-critical stuff incorporated in pre-war road tests by Motor Cycle and Motor Cycling! 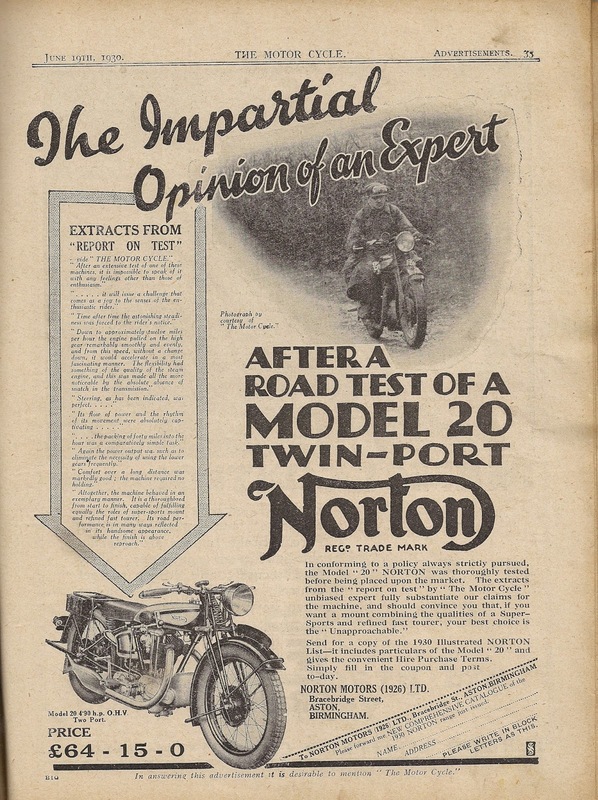 More recently, I came across a subsequent Norton advert from 19th June 1930 which I attach. No further comment needed ... !